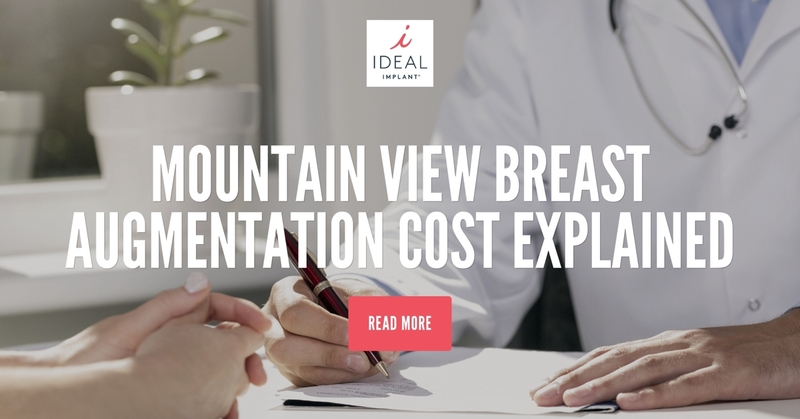 Curious about Mountain View breast augmentation cost? Many doctors have a cost breakdown, but often this includes only upfront costs and does not mention long-term maintenance costs. Dr. Robert Lowen, a board-certified plastic surgeon in Mountain View, now offers the IDEAL IMPLANT® Structured Breast Implant because he knows many patients have concerns about long-term maintenance, appearance, and peace of mind. Silicone gel implants are a popular choice for many women around the country because they give women natural feeling results. Silicone gel, however, carries the risk of a “silent rupture.” If the implant ruptures, you can only tell through an MRI. The FDA recommends women get these expensive procedures every few years to detect a rupture. Insurance companies do not always pay for the MRIs, so women are left paying for this procedure out of pocket. Also, the rupture rate and capsular contracture rate of the IDEAL IMPLANT® Structured Breast Implant is lower over a seven-year period than the silicone gel implants. If you’re researching Mountain View breast augmentation cost, you need to factor in these frequent MRIs and the potential for ruptures and capsular contracture before you move forward with a silicone gel implant. The IDEAL IMPLANT® Structured Breast Implant gives women the natural feel and beautiful results of silicone-gel implants and the peace of mind of saline implants. Because of its internal structure, the IDEAL IMPLANT has stability and does not ripple easily like other saline-filled implants. As a saline-filled implant, it gives women peace of mind that they will not have a “silent rupture” and will not need an MRI to detect ruptures. Peace of mind, low maintenance, and beautiful results are all possible with the IDEAL IMPLANT. Dr. Robert Lowen has been in practice for over 25 years, and is dedicated to staying up to date on technology and surgical techniques. Many patients come to Dr. Lowen because of his experience and concern for their plastic surgery journey. His patients enjoy knowing their questions about Mountain View breast augmentation cost will be answered fully and honestly at Dr. Lowen’s office. As one of the exclusive surgeons in the area to offer the IDEAL IMPLANT® Structured Breast Implant Dr. Lowen gives his patients another option for the breast augmentation that addresses concerns with appearance, long-term costs, and rupture rates. Considering breast implants in Mountain View or researching breast augmentation cost? Contact Dr. Robert Lowen today to discuss your options. Simply call 650-965-7888 or visit www.enhanced-you.com. Dr. Lowen’s office is located at 305 South Drive, Suite 1, Mountain View, California 94040. Call today for more information on IDEAL IMPLANT® Structured Breast Implants.